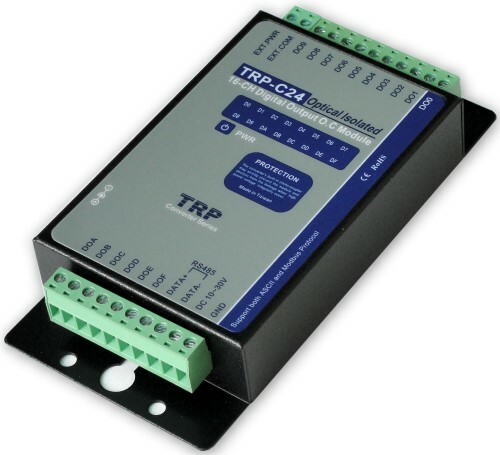 The TRP-C24, an isolated output open collector RS-485 module, provides 16 digital outputs channels that allow you output open collector signal (100mA) to driven your devices on RS-485 network. All channels feature screw terminals for convenient connection of field signals as well as LED’s to indicate channel working status. All outputs are equipped with photo-couplers to protect the module against high voltage spikes, as well as ground potential differences. 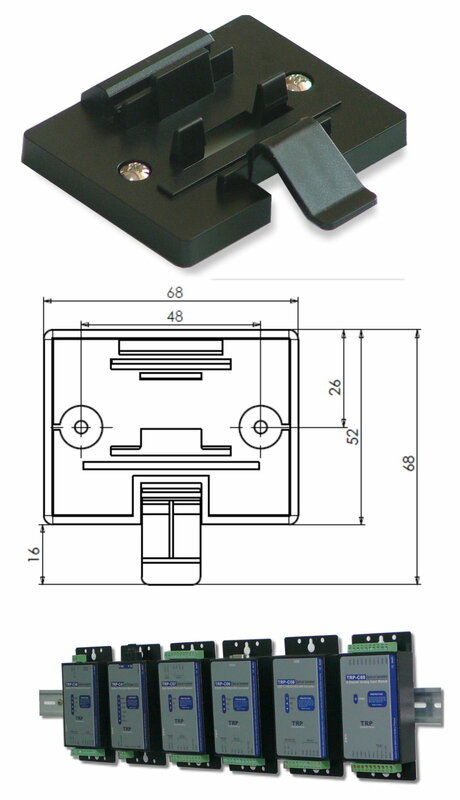 For easy user access, TRP-C24 can enter configuration mode and self-test mode with outer dip-switch. TRP-C24 support both ASCII and Modbus protocol, with a full set of command, dual watch-dog, and auto reset function the module can be remote controlled by PC in ASCII or Modbus RTU protocol. Configured and self-test by external dip-switch. Digital output maximum current: 100mA. Communication interface: RS-485 differential 2 half/duplex wires. Communication speed form 1.2Kbps to 115.2Kbps auto-switching. Data format: Data bit: 8, Parity Check: None, Stop Bit: 1. Distance: up to 4000ft ( 1200M ). Signal LED: Power, and all output channels. Storage temperature:. -20 to 70℃.